Another successful event for Southern Bricks come and gone! Brick-a-laide 2018 was a little different this year but full of the same energy and people that made it so much to fun to begin with. 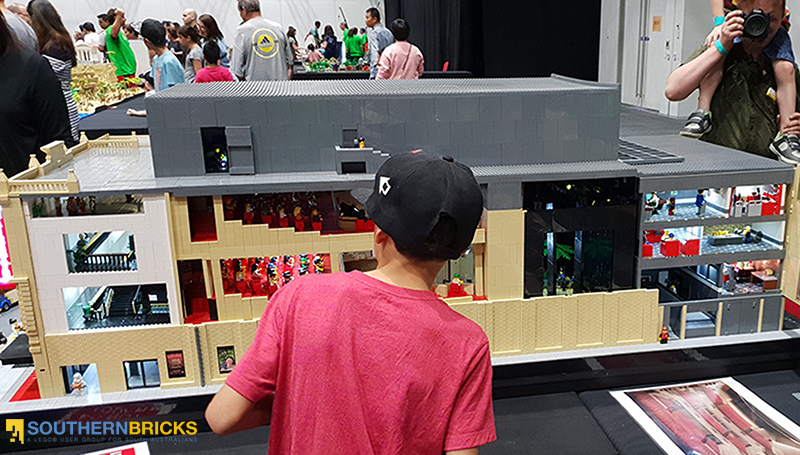 The Adelaide Convention Centre organizers put on a massive event and Southern Bricks Exhibitors were out in style to show Adelaide what we can build! 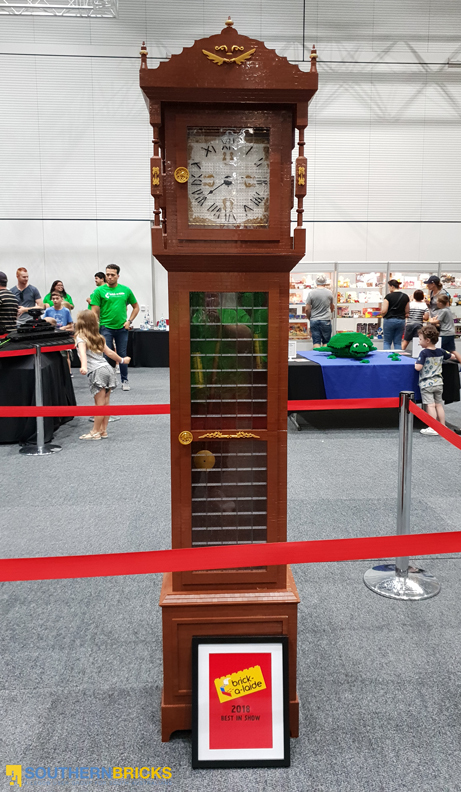 Read on for a full report from Ben Tomlins to celebrate all the winners, view all the pictures plus gallery links to all the awesome displays on show this year! The 30th and 31st of March marked another Easter spent with the fans at Brick-a-laide in the Ad elaide Convention Centre as part of the Kidz Gigantic Day Out event. 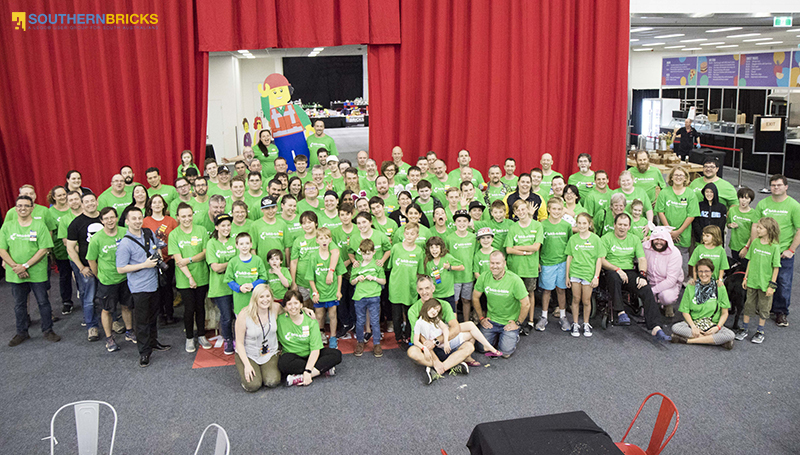 The combined attraction offered an expansion into new‘zones’ for Big Rigz, Science and Discovery and Nerf which resulted in increased foot traffic, attracting over 18,000 to the event over both days! Crowds were pushing full capacity by mid-morning on Good Friday with the venue’s new event attractions drawing in the people from all over Adelaide. 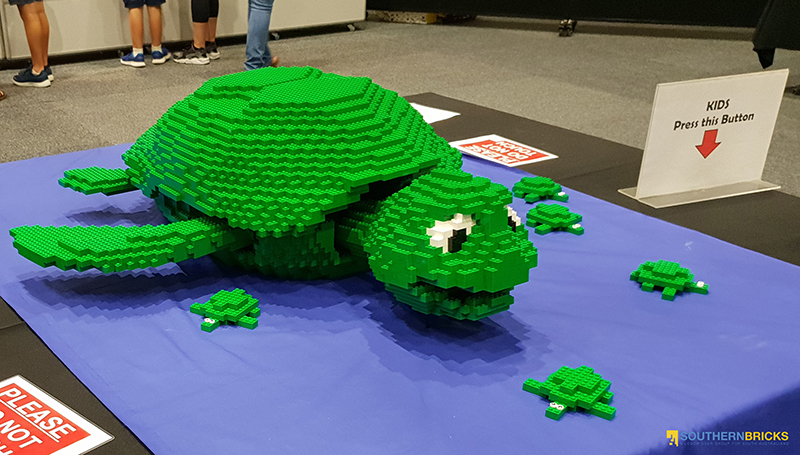 The Brick-a-laide section was a well laid out footprint of a variety of colourful exhibits by talented exhibitors, including several first-timers having a go at getting their builds out into the public eye. The Best in Show Award was presented to Steve Campbell (absent on the night) for his stunning 7 foot-tall Grandfather Clock, the Best Collaborative Build being awarded to Southern Bricks Medieval Build team (Jon Schulz, Lisa Penney, Luke Saurus, Jade Snel, Ben Hughes, Tim Moss, Michael Lookie, Calvin Bacher, Dani Dolan and Aaron Monaghan) retaining the title from the last two years! 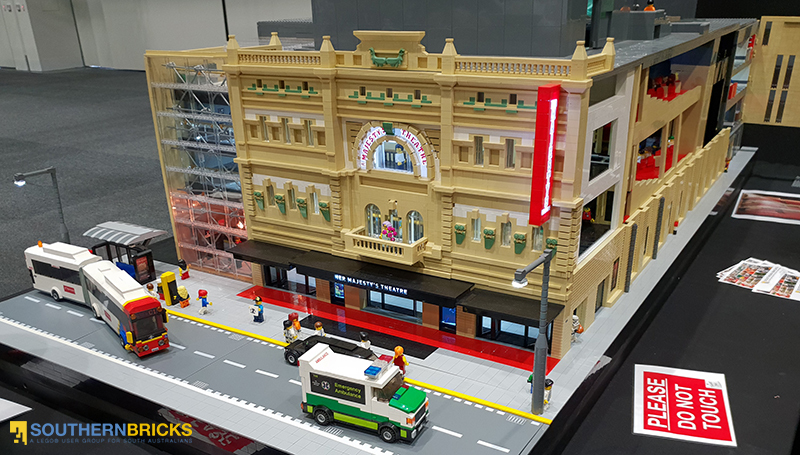 Also from Southern Bricks, Connor Brennan took out the Under 16 Award for his scale build of Her Majesty’s Theatre, a stunning c ommission piece that took around 6 months to build with fully detailed stage interiors, lighting and meticulous attention to detail. Southern Bricks LUG South Australia presented two of its own Awards, Best (Southern Bricks) Member in Show awarded to Shannon Miller for his detailed Modular Town display and Best New Member Display, awarded to newcomer David Aular for his impressive black Star Destroyer, complete with interiors and RGB Lighting kit. David moved to Australia from Venezuela around 3 and 1/2 years ago and has spent the last 6 months creating his epic build. It was the first time he has displayed an exhibit in public and he certainly made a rather large statement, weighing in at around 20 kilos and measuring over 1 metre long! We are looking forward to seeing more from David in the near future. Southern Bricks had a good promotional area with our tracked racers, Brick Barossa Event advertising and information table for the public, with the event generating a lot of interest and many enquiries were made about joining the group and finding out when our next displays will be. It won’t be long now before Brick Barossa will be upon us with applications to Exhibit closing at the end of this month. 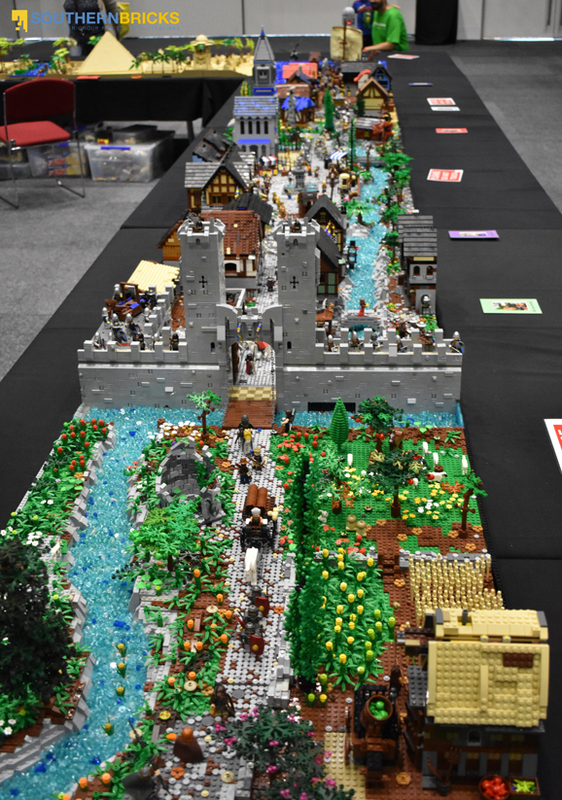 If you haven’t done an event yet and would like to attend, many of the new Exhibitors from Brick-a-laide can tell you they had a great time and made many new friends from the event and would well recommend it. 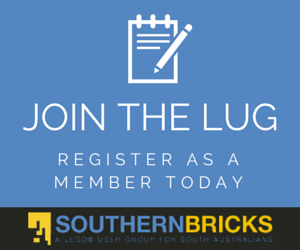 Secretary for the Southern Bricks LEGO® User Group South Australia Inc.
Best in Show Winner – Steve Campbell from Laygo! 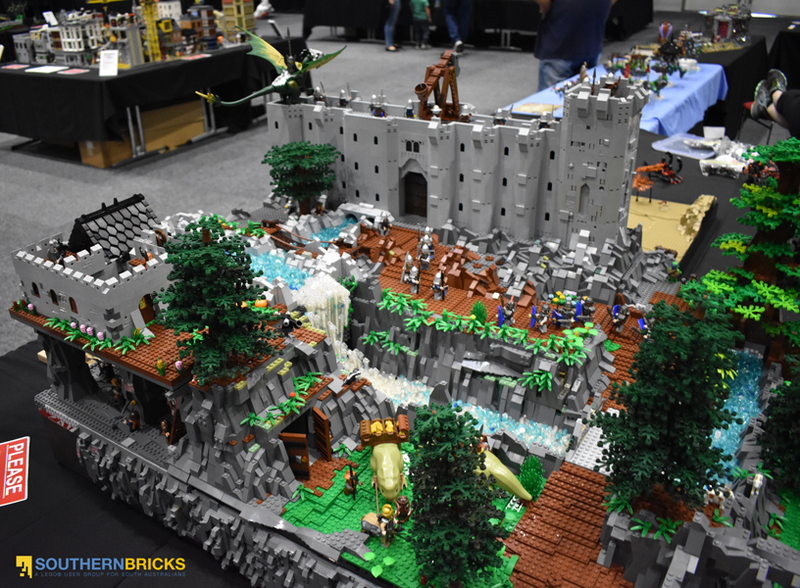 Second Place – Reece and Drew from Brick Lady! Third Place – Tim Burdon from S & G Builds! Best Under 16s – Connor’s Bricks for Her Majesty’s Theatre! 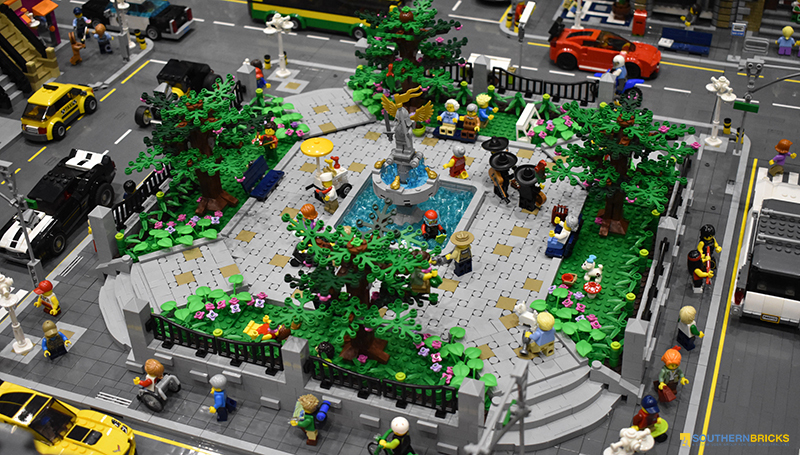 Southern Bricks Best in Show – Shannon Miller from Every Little Brick! 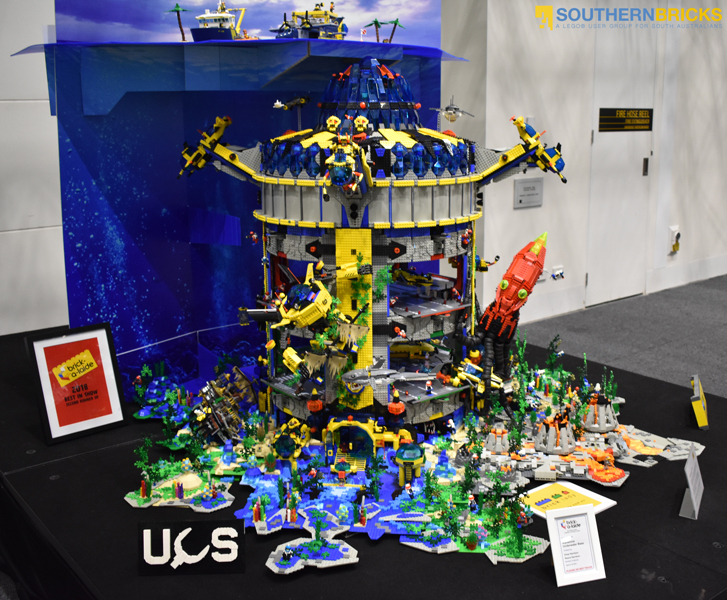 Southern Bricks Best New Member Display – David Aular ! The lobby leading to all the Zones on a packed Saturday. Bonus Cowabunga: Steve Ready with the Turtle Power! 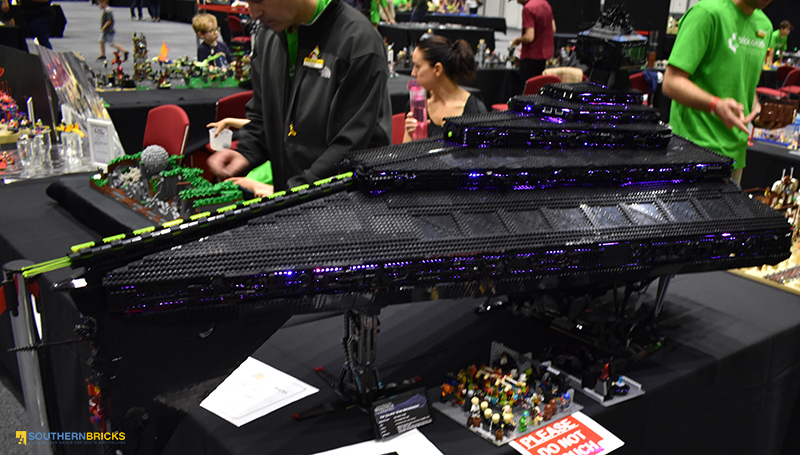 A Flickr Gallery pool for Brickalaide 2018 photos has also been created by Michael Smith with hundreds of snaps from the day. Head over to this link to see all the eye-candy! ← SBLUG Iron Builders for March 2018!